With every email from the Majestic, Live Nation, Ticketmaster and the others, I search the listings for the concert that will be the “last one,” meaning the last show my older daughter and I see together before she ships off to college. Wouldn’t it be perfect if Queens of the Stone Age came to Detroit early? Couldn’t Tom Petty stray from his festival circuit for an intimate back catalog show at the Royal Oak Theater? How about convincing the Scissor Sisters to drop in at the Magic Bag the first week of August? 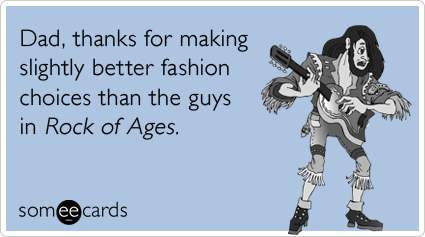 No, we will just have to look back years from now and laugh because of all shows, the “last one” was Kurt Vile and the Violators. I like Kurt Vile, as I’ve mentioned before. He kind of sounds like Lou Reed and kind of looks like Sara Gilbert in her late Roseanne days. His hypnosis-with-a-beat style is good background music for creative projects or train rides. When I saw he was slated to play at the Magic Stick for $15 general admission, my daughter gamely agreed to go with me. We sat in the back next to the sound board and shared a diet Coke while the avid fans in front of us ordered light beer after light beer. 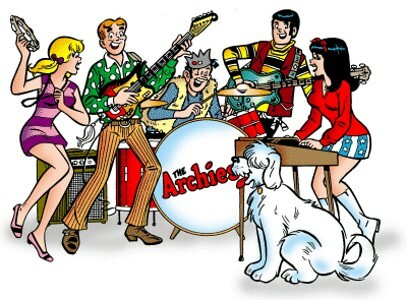 It was 9:15 before the opening act, the Swirlies, started their set … and they were downright dreadful: cacophonous, unintelligible and sloppy. It irritated me even more that the lone girl in the group was trapped behind a keyboard and microphone, adding only an occasional ethereal top note to the din. Dreadful and stereotypical … at least she didn’t have a tambourine. The Swirlies slunk off at 10:00 and my energy began to flag. When it took an additional 30 minutes for Mr. Vile to finally take the stage, my daughter was yawning. He started playing those beautiful, hazy songs of his and I was nodding along to the beat – until he started jamming, stretching a three-minute song into a 10-minute song cycle, at which point I started nodding off. It didn’t help that I couldn’t see his face, not because I was too far away but because his hair is really long and he didn’t have a scrunchy. He also tended to fold in on himself when he was deep into playing, so from our vantage point he disappeared completely. We got to 11:10 p.m. and I made my weary daughter a deal: three more songs or 11:30, whichever came first. The clock struck the half-hour, we ducked under the arms of the light beer-sodden fans shouting “I love you, Kurrrrrrt!” and we were out into the Detroit night. I’m sure we have many a concert ahead of us, especially since she’ll be at NYU. (During the college tour, the guide pointed out that Lady Gaga once played a free concert there since it was her alma mater, which pretty much ensured my daughter’s application.) But this phase of our Detroit concert career may have ended, not with a bang but a whimper. Or at least a nasal whine. In our two-mom household, our kids have to double up on Mother’s Day but they get Father’s Day off. Probably a lot of men wish they could get that day off, too. I truly feel for dads on Father’s Day. Those guys deserve more respect. There’s been an intensive effort to reframe the term by adding a single “s” to the phrase, turning it into “Dad Rocks,” which can be easily plastered on mugs, t-shirts and other tchotchkes. Still, the better option would be to ensure that fathers have a genre they can own and enjoy without pity or scorn. (Yeah, that’s his real name.) Vile’s voice is a bit of an acquired taste, and one song often sounds a lot like the next, but wait – don’t walk away! He’s got a swirling lyrical style and a muscular acoustic approach that’s kind of like a mellower version of Pavement. Smoke Ring for My Halo is my favorite of his albums – find it, pour yourself a couple fingers of something special and enjoy. Okay, he’s a Brit. And he has only one album, named after himself. And he’s barely 20, meaning he’s younger than the baby on the cover of Nevermind. Before you dismiss him as another Bieber, try him out: he’s got Bob Dylan and Simon & Garfunkel and even some Johnny Cash and Hank Williams in his soul. Give the opening track, “Lightning Bolt,” a listen and just try not to tap along to the beat on your steering wheel. And they did a song for the end credits of Game of Thrones – how much cooler can you get? 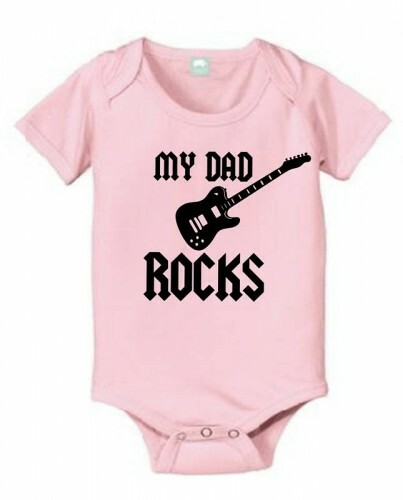 With that, Happy Father’s Day to all the men to whom it applies – and wear your Dad Rock (no “s”) shirt with pride this year!